Windows 10 is packed with new nifty changes, from the user interface down to the features! But not all of its features are well received by the users. One of Window 10’s feature that some users want to turn off are notifications. Yes, some end-users wanted to turn off Windows 10 push notification pop-ups. Why? One or two push notification pop-ups (with interval) can could have been fine. But what if you’re starting to get let’s say five or more consecutively. And it is all happening while you are doing a business meeting presentation. Or maybe concentrating reviewing your codes. Isn’t it annoying? Maybe some users care less about this. But there are people who want to stop Windows 10 notification pop-ups. Or at least minimize the instances. 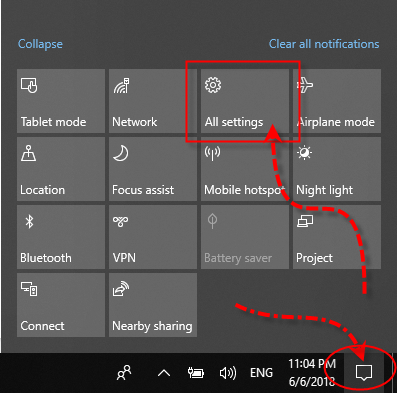 How Do We Stop or Turn off Windows 10 Push Notification Pop-ups? First, we need to go to Notifications & actions window. And there are 2 ways to go to that window. Hit the Start button, then select Settings > System > Notifications & actions. Or, you can click the Action Center icon located at the lower-right edge of your window. Then click All Settings. If you have chosen the second way, through Action Center, then you should be looking at the Windows Settings now. Click on System. On the left side of System window pane, look for and click Notifications & actions. 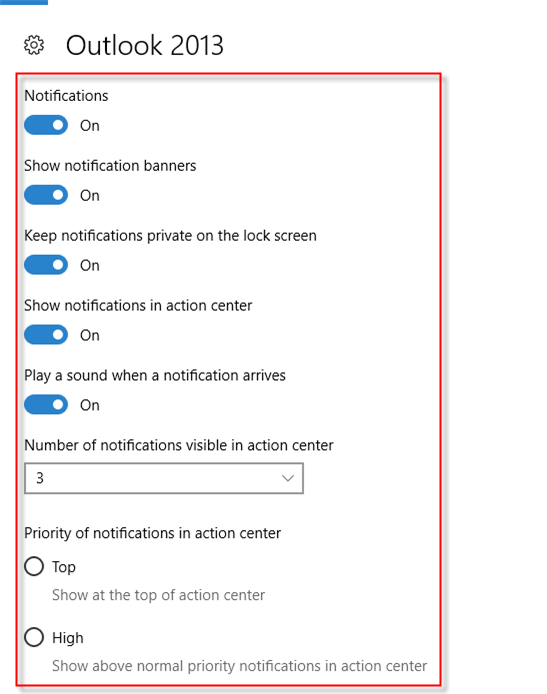 Then on the right side pane of the window, under the Notifications subheading, you will see different Windows 10 push notification options. You can select and toggle any or all of the options. That’s it! 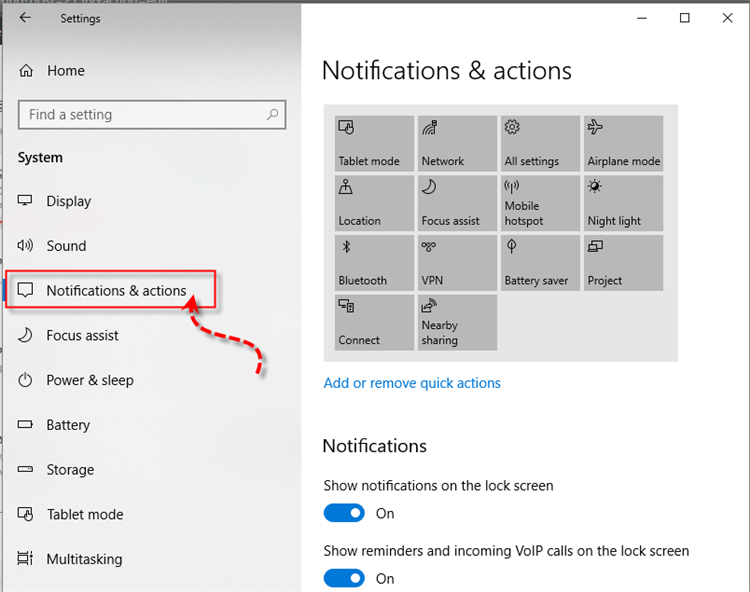 You will have now the control to enable or turn off Windows 10 push notification pop-ups with the options above. 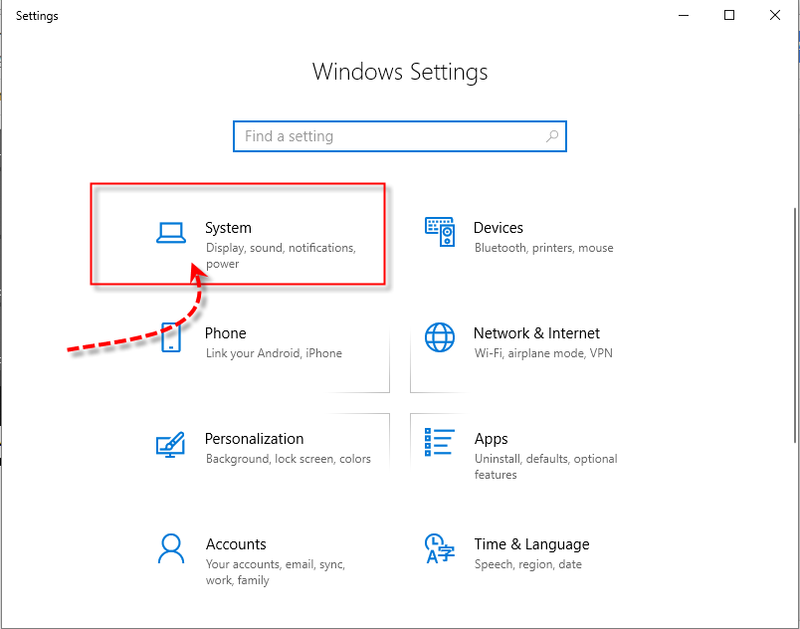 This is also the options provided by Microsoft Support when changing the notification settings. You can also configure Windows 10 push notification pop-ups for each apps. The apps or software we’re talking about are those pre-installed Microsoft programs and others from Microsoft Store you have downloaded. Although there are apps which have already integrated with Windows 10. Wherein even if you don’t download them from the Store will still have notification options. These apps are located on the same Notifications & actions window, below the Notifications subheading. Beneath, you will find Get notifications from these senders. A little note though, this will not work if you have toggled off the Get notifications from apps and other senders from Notifications option. For each software or apps, it gives you the total control on how you would like to manage the notifications. 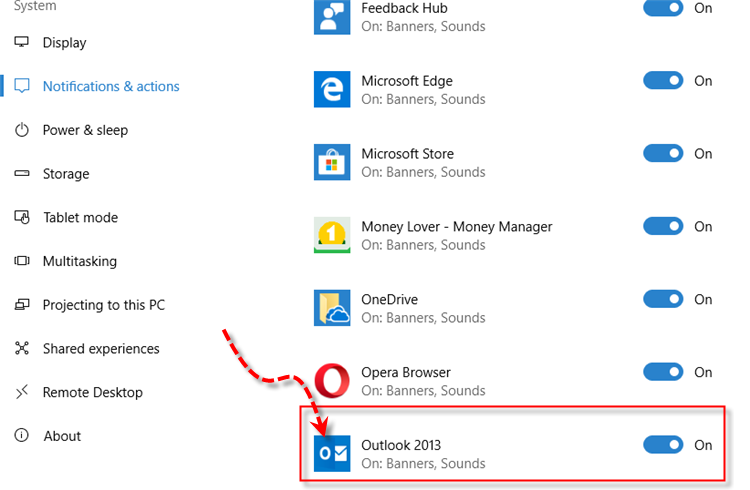 Let’s take Microsoft Outlook 2013 for example and here are the steps. That’s it! 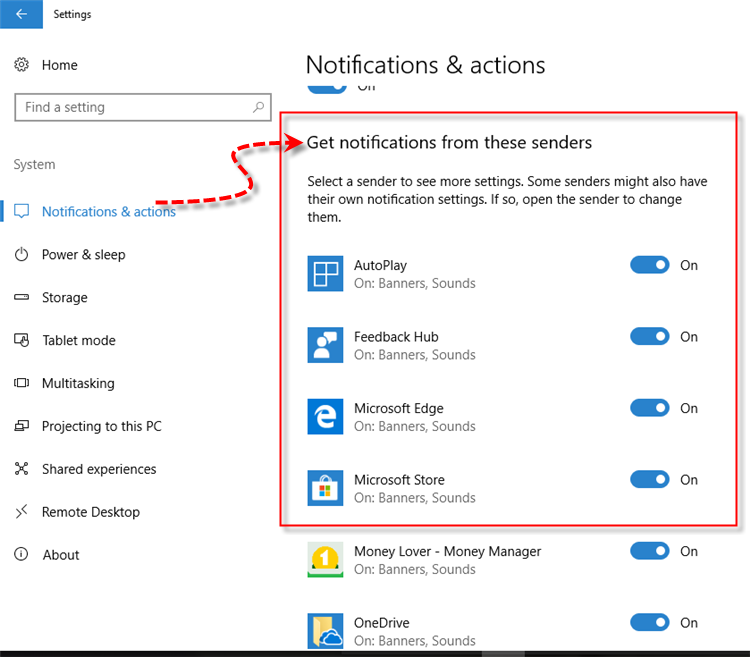 Those are the options how to enable or turn off Windows 10 push notification pop-ups. We leave to you the options on how you would like to manage your notifications.